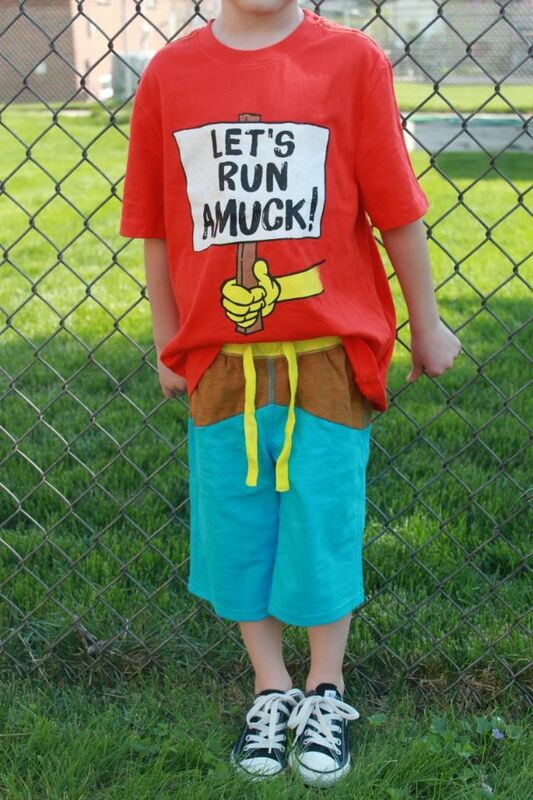 When we got our outfit choices for May, my son was all about the summer trouble outfit. 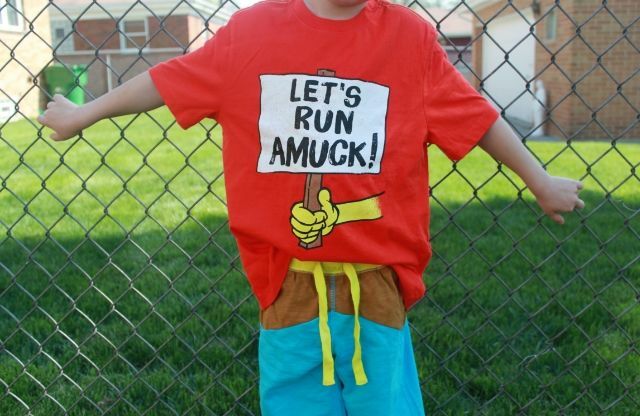 Something about the saying "Let's run amuck!" really got him laughing. He is kind of obsessed with it now. We've had it for a few days and he's already worn it twice! But that's the point of kids fashion, right? 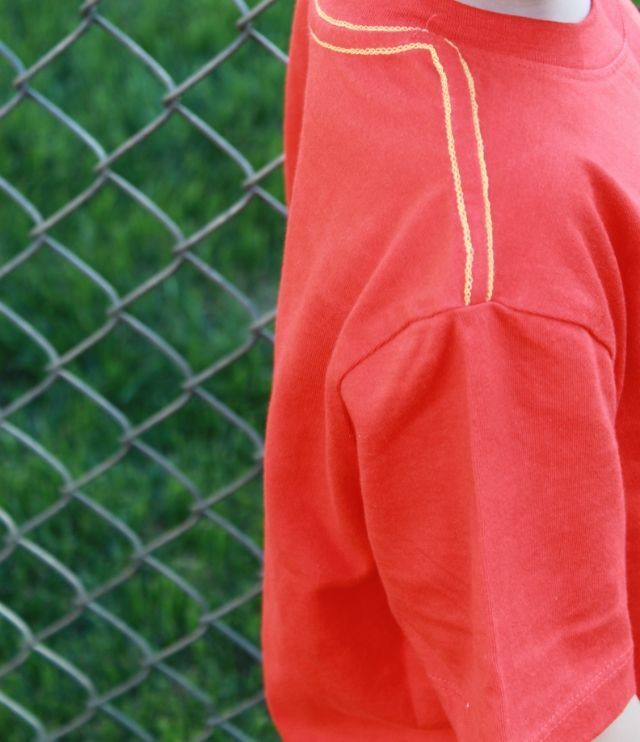 To be something that is fun, fashionable, and make the kid who is wearing it happy or feel good about themselves! If that IS the case, then this outfit has done its job. 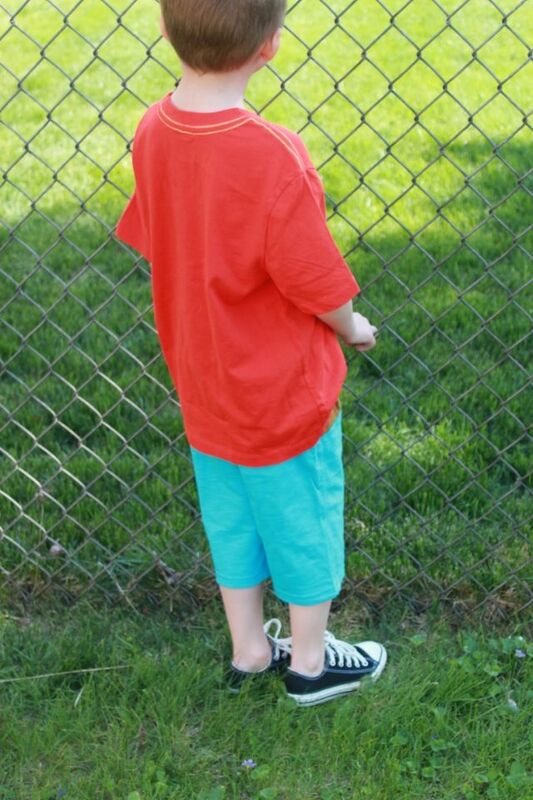 I love the color-block shorts too! These will go with so many other items in his current wardrobe which is always a great thing! What do you think of my little man's new duds? Are you a FabKids member yet? haha, that's a cute tee! !